I’ve spent the past few weeks traveling around the country sharing the story of our experiments with high-quality local journalism here in Tyler, and learning from successful independent local news startups like Charlottesville Tomorrow in Virginia, Texas’s own Texas Tribune, and City Bureau in Chicago. There’s a national movement right now to figure out how to bring back local journalism—and make our democracy stronger in the process—and I’m happy to tell you that The Tyler Loop is increasingly at the forefront of these conversations. I was recently invited to share insights about our work at an American Press Institute summit in Nashville, and I wish you could all have seen the enthusiasm and excitement around our reporting projects, from our Robert E. Lee series to our taco tour to our data-driven storytelling. We’re clearly onto something here in Tyler, and people are noticing way beyond The Pine Curtain. Since launching The Loop exactly one year ago (!!) as a volunteer project on nights and weekends, my co-founder Chris and I been absolutely blown away by you, our community: your intellectual curiosity, your passion for our city’s strengths and potential, your willingness to confront our city’s problems and consider solutions for a better, healthier, more inclusive Tyler. Tens of thousands of you have read our stories and shared them with your friends and families. You’ve told us what The Loop means to you, in long emails and Facebook messages and conversations at the coffeeshop. You want more from us, and we want to do much more for you—and with you. So now, we have to turn this volunteer side project into an honest-to-goodness, sustainable business. We’re learning from places like The Membership Puzzle at NYU, which studies how nonprofit newsrooms like The Texas Tribune and ProPublica work with their audiences to support their journalism. We’re one of ten local newsrooms from around the country selected for year-long training on the future of digital advertising. And we’re starting to assemble a fantastic local board of directors with superpowers in business development and fundraising (among other things). It’s going to take every member of The Loop community to help us produce more high-quality, innovative, in-depth journalism for Tyler, and right now, we’re learning from the top minds in our field about how to make that work. As you can imagine, all of this is taking up quite a bit of time—and that means we need to take some time before launching our next issue, which is all about The Future of Tyler. It’s going to be a great issue, and we can’t wait to bring it to you. In the meantime, if you’d like to talk about what we’re doing to make The Loop sustainable, please get in touch: tasneem@thetylerloop.com. I’d love to hear from you. P.s: I’ll be a keynote speaker at the first-ever East Texas Leadership Summit on May 18, and I hope to see you there. Registration is open now and open to everyone, and I have a feeling this event is going to shape our region for years to come. Details here, and don’t fail to say hello if you attend. 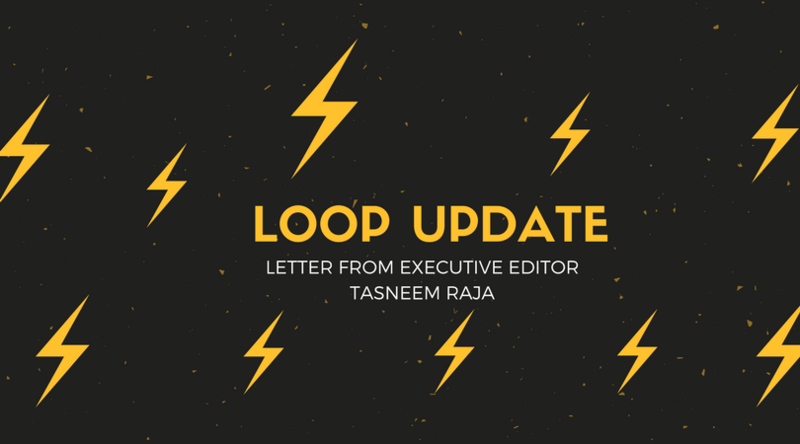 P.p.s: Want to stay updated on what’s happening with The Loop? Sign up for our newsletter. Next articleThink Tyler is changing because of a big spike in migration? Not quite.